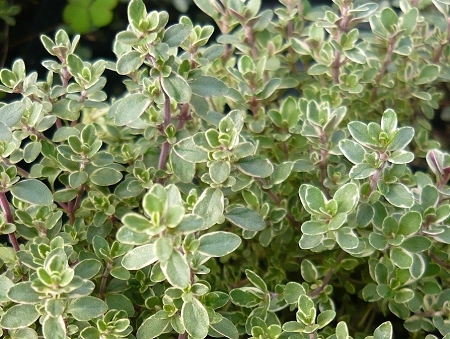 Silver Thyme - Beautiful culinary thyme variety features gray-green leaves with white edging. Mild scent and flavor. Excellent in containers and hanging baskets. Perennial zones 4-9. Live starter plant in 3 inch container.